Louisville’s party-in-a-parking-lot is returning for three days between October 15 and 17. Officially dubbed “ReSurfaced: Three Days at 10th Street,” the event corresponds with Louisville Metro Public Art’s Connect/Disconnect exhibition, which launched on August 28. Five artists have installed site-specific, temporary installations all along the waterfront in the area. We’ll have more on those projects soon. But these pop-up events by the nonprofit City Collaborative, Metro Louisville, and the Louisville Downtown Partnership are way more than social outings. They’re a new way of looking at the city. 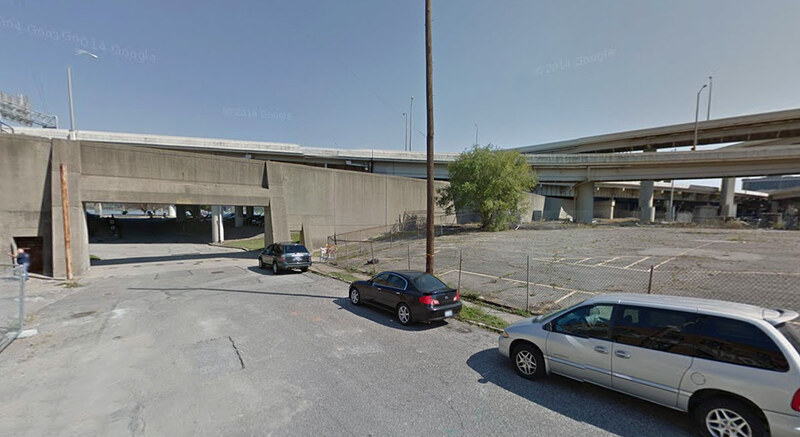 The first two iterations of Resurfaced took place in a parking lot void behind a set of four facades demolished for a failed development project. Organizers often refer to the idea as “pre-vitalization,” or showing the potential of a place to be something else. “When people see what the City Collaborative team does with the space, they will be impressed that a parking lot can become such an innovative, unique space that features beer, art, music and community,” the mayor continued. A program of events includes an Arts Happy Hour on Thursday, October 15; a Fashion Show on Friday, October 16; and the SlowFood Fried Chicken Throwdown on Saturday, October 17. (This is the second year Resurfaced has hosted the Throwdown.) Live music, art, and DJs will also be part of the line-up. ReSurfaced is a joint effort by City Collaborative, Louisville Metro Government, Louisville Downtown Partnership, and the Urban Design Studio. Other sponsors include Forest Giant, Magnolia Photo Booth, Core Design, Slow Food Bluegrass, and Hillerich & Bradsby. For updates, follow Resurfaced on its website or on Facebook. While you’re at Resurfaced this Fall, we’ve got some homework for you. 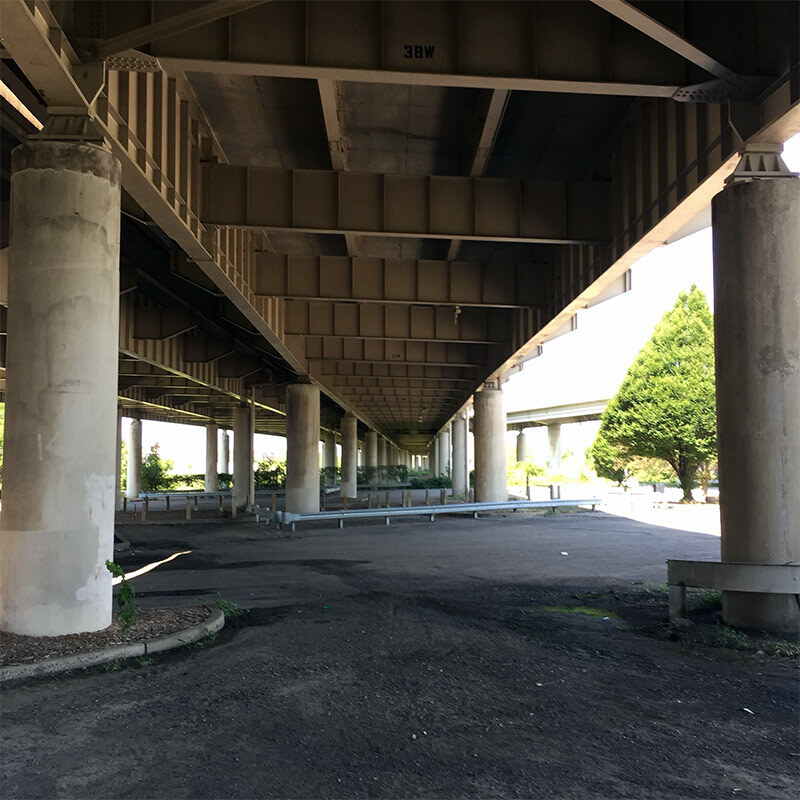 Besides admiring reflections on the river, browsing world-class art, and taking in the strange, looming architecture of the elevated highway, look a little beyond into Shippingport / East Portland and imaging how this site could one day help break through the Ninth Street Divide. It’s the beginning of the zipper along which the invisible barrier could fall. To the west, there’s a vast windswept plain that used to be a busy rail yard. That barren wasteland will one day bloom into an expansion of Waterfront Park, whose master plan by MKSK Landscape Architecture won a Merit Award from the Kentucky chapter of the American Society of Landscape Architects earlier this year. If you take the route to Resurfaced along Tenth Street, past the city’s newest distillery and through a sturdy flood gate, you’ll also pass by the site of a former rail yard building that was carelessly demolished in 2010. The Tenth Street version of Resurfaced isn’t necessarily pre-vitalizing the parking lot—we’ve got a pretty good idea of what’s imagined for the area. But it does help reveal a westward connection that’s otherwise out of view to the average Downtown visitor. One day, River Road will continue west from its current Seventh Street terminus, likely aligning with Rowan Street at the future park site. There have been a number of sketches of what this extension might look like. 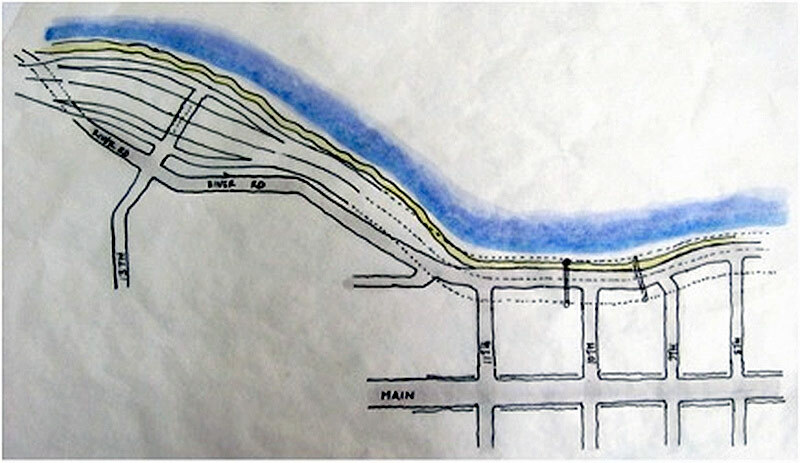 A very rough version sketched out during the Vision Louisville process shows a River Road with a western interchange with Interstate 64 and the Ninth Street ramps removed. That idea helped to get things moving, but likely won’t be the final plan. A proposed extension of River Road indicated in green. 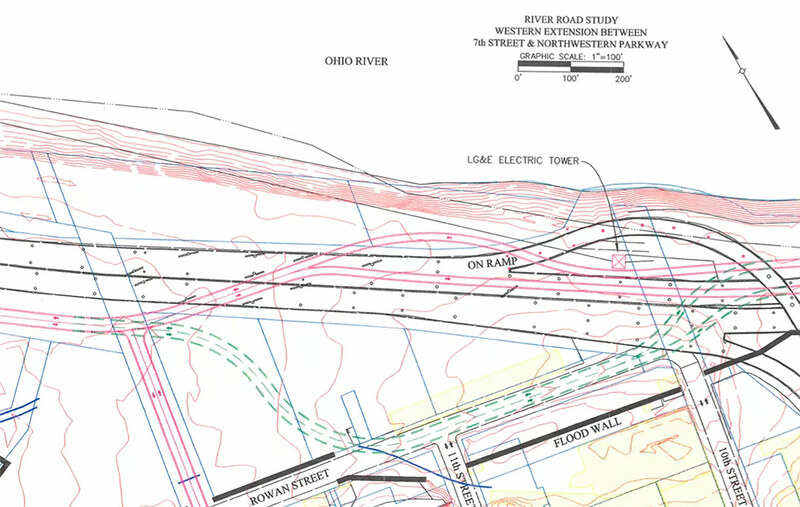 MKSK’s master plan for Waterfront Park Phase 4 (below) also shows the expanded River Road slightly differently. Details for the new street are still being worked out, but until a plan is unveiled, take a look around and familiarize yourself with the site. Getting this right will be a key component of reclaiming Louisville’s waterfront and connecting Portland and Russell with Downtown. Stroll down to 18th and Main and see governments longest “gift” to Portland . A poorly fenced demolition site five years now in the making. Remake that……. This idea like many others that have been presented recently are pie-in-the-sky ideas that represent the views of a very small majority of Louisville residence. They do not have widespread support in the community. What needs to be done is to take a few idea that are widely accepted, get behind them and make them happen. Maybe the recently announced Google Fiber initiative will be the 1st of these and show Louisville what can be done when the community and government officials get behind something! We have to start somewhere in somewhere needs to be something that is not opposed by many local citizens.